We recommend flying into Cancun. Tulum is approximately 1.5 hr drive south of Cancun airport. The drive to Tulum is on a well-paved, four-lane highway. You can either rent a car or get a Taxi to your hotel. Every time we've gone, we've rented a car, largely because it wasn't very expensive. The Tulum beach road is easy to get around by bike or on foot. Most hotels rent bikes by the day. Taxis are plentiful and safe. Credit Cards are accepted at established restaurants and hotels. US Dollars are also accepted in most places, including taxis. We've reserved a variety of rooms from deluxe tents to high-end ocean view suites at Nomade Tulum. Eric and Shirin and many of the guests will be staying here. All rates are inclusive of American breakfast. NEST is a boutique hotel within walking distance to Nomade. NEST is a 3 min walk from Nomade. Eco-friendly cabanas, shared showers in some cases. Groups of six can rent the tower with 360-degree views and a private bath. 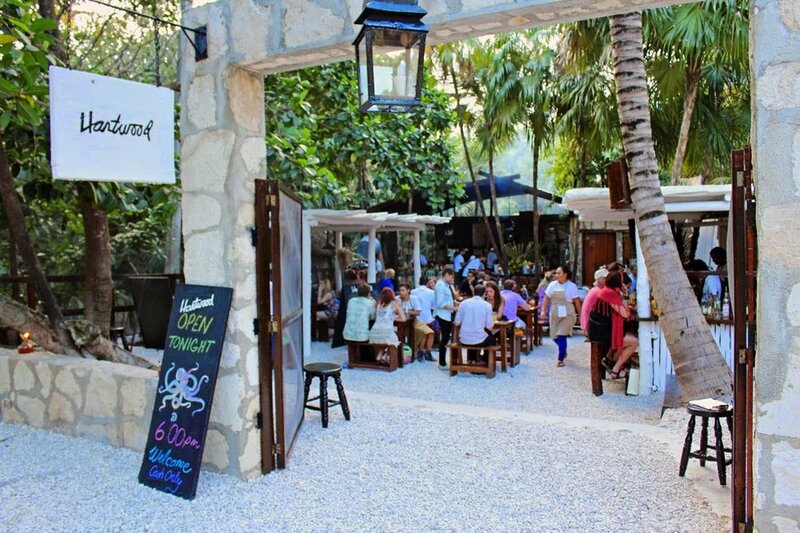 Coco Tulum is ~10min bike ride from Nomade. You can also rent private Villas through airbnb or https://www.homeaway.com/. If you go this route we recommend renting in the "Tulum Beach"
area as opposed to the "Town of Tulum". Also make sure you rent a villa that has multiple positive reviews and isn't newly listed. You don't need to worry about getting a villa with AC as weather in December will be mild and most villas have fans. Swim the Cenotes. Escape to a secret underworld of turquoise pools where Mayans communicated with the Gods. Visit the Mayan Ruins. Even if you're not a history buff, the ruins will take your breathe away. Visit Playa Del Carmen. If you prefer a more touristy beach town take a day trip to Playa Del Carmen. Water Sports. The pristine beaches of Tulum are perfect for kitesurfing, surfing, windsurfing, paddle boarding, and scuba diving. Beach Clubbing. If watching and being watched is more your speed checkout the beach club at The Papaya Playa Project. Spas & Yoga. Enjoy world renowned spas like Yaan Wellness (mention you're staying @ Nomade to get 10% off) to authentic Mayan Clay massages at Mayan Clay Spa. Take your pick from the many amazing yoga studios in town.